Ssips Cherry Berry Drink, Fruit Punch, Lemon Iced Tea and Orange Tangerine Drink are some of the popular flavors that have been around for years. Now, look for our delicious new Ssips Green Tea with Honey and Ginseng! Green tea contains antioxidants which have many health benefits. 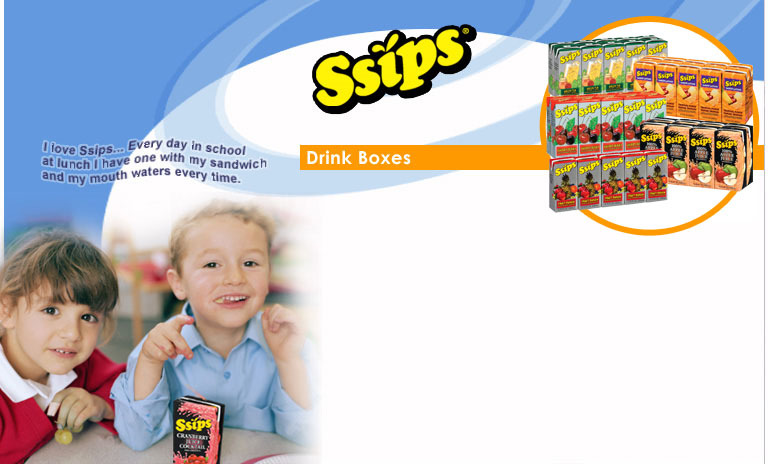 In addition to Ssips drinks, Johanna Foods also makes Ssips Juice and New Ssips 100% Apple Juice give your family the healthy options you love in convenient juice box packaging! Ssips Sabor Latino offers three different drinks that are great any time of the year. Available in Strawberry Kiwi, Guava Mango and Tropical Punch flavors.